For the third standpipe, the neighbors decided on a theme of celebrating the large trees that define the Maple Ash Neighborhood. After much discussion, five trees were chosen. Maple, ash orchid, cork oak and pistasche. Since this was a short standpipe and we wanted to emphasize the height of the trees, be worked with SRP to come up with a solution. They agreed to add another pipe on top of the existing standpipe as long as it had openings (called dragon’s teeth) that would allow water to overflow at the original height should a release be necessary. 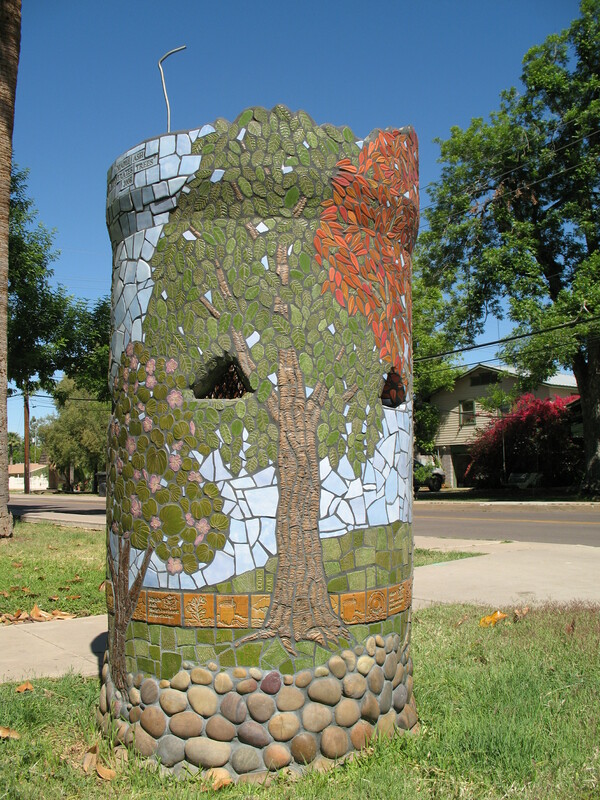 I added an irregular shape at the top of the standpipe to mimic leafy trees. Because of that irregularity, I put the band of irrigation tiles lower on the standpipe. 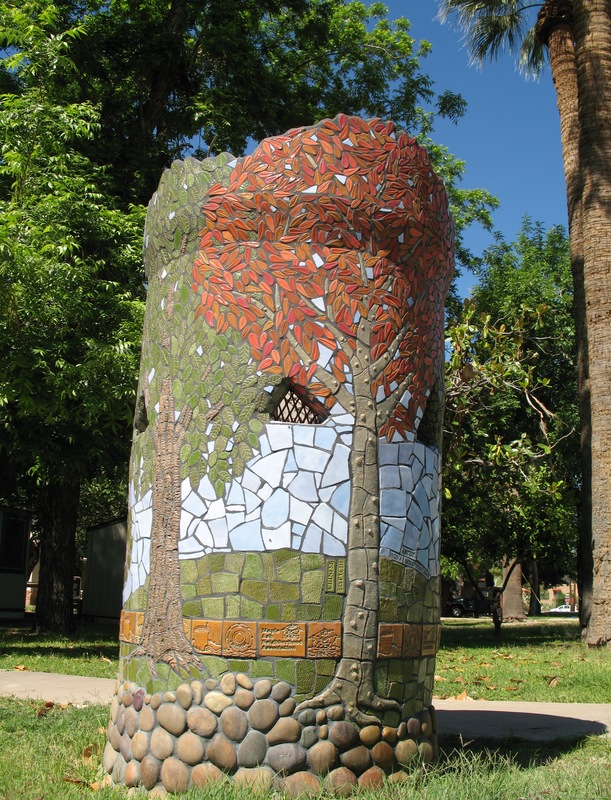 Neighbors again made and glazed lots of tile, even creating distinctive leaves for each tree. They also helped with installation and grouting.